Since ancient times, agriculture has been vital for the development and sustainment of mankind. Today, it continues to be an essential basis for our existence and economy, and governments are aware of this importanceexistence, economy and the bodies that govern us. The development of biofuels adds a new perspective for agricultural development and progress, giving it a future it has never before had. An example of this is that the United States administration has recently shown itsRecently, the United States support forsupported an initiative to reconstruct and maintain the infrastructure of “Rural America” and Small Town USA. They have done this by announcing the creation of the Rural Opportunity Fund, with an initial investment of 10 billion dollars for the development of rural projects throughout the country. ” The work of farmers is of vital importance in an economy, such as that of the U.S., which is committed to the development of biofuels. However, agriculture isn’t only essential for the food sector, but also to provide the necessary resources to produce alternative fuels. As such, farmers, as is the case of American citizens,Thus, farmers have become suppliers of not only food, but also of raw materials for the production of these biofuels and extraction of ethanol. After many years of research, innovation and technological advances, we can now make use of crop residues (biomass), which otherwise would be unusable, to produce what are is known as second generation biofuels. This second generation is obtained from bioenergy plants that directly contribute to the sustainability of the local ecosystem through economic sustainability and job growth. While promoting job creation, the activity in these plants also gives a strong push to the local economy. 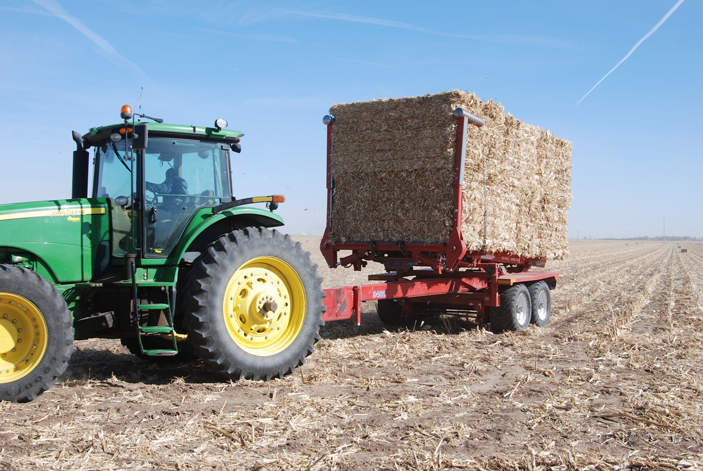 Farmers collect the biomass and sell it to the plant; other local companies maintain the infrastructure needed to support the daily life of these farmers; and commercial transactions are developed on a national level, which contribute directly to the domestic economy. ” The second-generation ethanol plants use agricultural waste products, and have a large influence on the rural economy. A recent study published by Fuels America has disclosed that “the renewable fuels industry contributes more than 184 billion dollars to economic production,” in addition to having created 852,000 jobs and 56 billion dollars in salaries. All of this is the result of years of investment in the biofuels industry, done as part of a shared commitment to sustainable development based on clean energies. Ana Isabel Gavilán Ledesma, Abengoa Bioenergy.